RUSH: Folks, look, I know some of you think that there’s gotta be more to it than just — the Obama administration, media, Democrats, whoever — when Trump tells the joke asking the Russians to find Hillary’s emails. I wish there were a way… I know most of you don’t doubt me, but I wish there were a way to convince you. These people do not have a sense of humor, particularly when they are in the joke or being made fun of or laughed at. They have no sense of humor whatsoever. You might say, “Well, how do you explain their comedians?” Their comedians are filled with hate, folks. Left-wing comedy is a hate, rage. If you pay attention to it, it’s what gets laughter. It’s what gets applause with left-wing comics. It’s hate. It is derision. It’s filth. Real comedy? They don’t get it. They have no sense of humor whatsoever, and here is what started it. Go back to July 27th or 28th, it’s one of the two dates, and it was in Doral, Florida. Trump’s got a golf course and a resort there. He held a press conference, and this was going on the period of time where, you know, Hillary had turned over 30,000 of 60,000 emails on her private server, the illegal server. Thirty thousand she thought were relevant to whatever State Department wanted, the government. The other 30,000 she said were of no interest anybody. They were about Chelsea’s wedding, yoga lessons, what to do with nail clippings that you’ve finished with, stuff that bore no relevance whatsoever to any investigation. You know, where Chelsea and her husband were registered for wedding presents and so forth. Well, those 30,000 emails are somewhere, and it got down to the point that some investigative units wanted them, because it eventuated that people didn’t just trust Hillary to edit those 60,000 and make 30,000 off-limits. They couldn’t find them. The server had been wiped. Remember Hillary making the joke about wiping her server? “You mean with a cloth?” she said. And it was at about this time that the now-famous Kim Dotcom — who is either in Australia or New Zealand. I don’t know. But he said he had access and he knows where they were or he knows somebody that has them, and they were gonna be released. But they hadn’t been. TRUMP: I will tell you this: Russia, if you’re listening: I hope you’re able to find the 30,000 emails that are missing. I think you will probably be rewarded mightily by our press. Let’s say if that happens. RUSH: I laughed myself silly when he said that! I watched it. I remember watching it on TV. I saw it. I was right here. It happened during the show; I’m laughing myself silly. It’s my kind of humor. It’s throwing it right back in their faces. “Hey, Russia!” Because people had been making jokes about the Russians hacking the DNC server and the Russians hacking this and the Russians doing that. So Trump was just throwing their allegations right back in their face! The Democrats were accusing the Russians of doing all this stuff even bang then, last July. So Trump said, “Hey, Russia, maybe the Russians can find them, ’cause the Democrats are acting so mad and so afraid of the Russians.” Well, it turns out… There’s a story here at Breitbart by Joel Pollak: “Did Brennan Start the Russia Investigation Because of Liberal Media Bias?” is his headline. 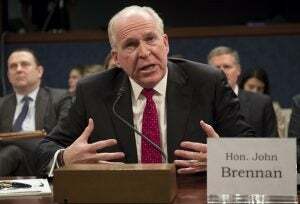 “Former CIA director John Brennan testified before the House Intelligence Committee [yesterday] that … he convened a group, including the FBI and NSA, to investigate possible Russian attempts to affect the election in late July 2016. What else happened in late July? Do you remember this? If I have to, I’ll go back to my own website for the evidence or go back to the news archives. The media went ballistic here. They accused Trump of inviting the Russians to intervene, and since he was asking them to find Hillary’s emails, the media made it look like Trump was asking Russia to help him defeat Hillary. Then Brennan says that this period of time is when he convened all these spies and decided they needed to start a serious investigation of Trump. There were some Democrats back then — within an hour or two of this joke that Trump told — that were accusing him of treason! Now, when you put this all together… I’ve personally encountered this lack of sense of humor. I have personally encountered what replaces a sense of humor: Genuine, uncontrollable rage. I’ll give you an example. It’s not quite this. Back when Media Matters for America started — and I don’t remember when that was; it’s many, many moons ago — they, of course, started with a page devoted to my atrocities. They were raising moneym they were trying to get noticed — and, of course, attacking me back in the nineties was gold. It was how they got money; it’s how they got attention. The Drive-By Media would pay attention to it. So they published the top 25 most outrageously offensive things I have ever said about women. They were hilarious! They were standard, ordinary… They were jokes. It was like the Undeniable Truth of Life Number 24. But they were just livid and outraged. I’m looking at this, and I’m thanking them for publicizing all this. I’m thinking, “Oh, this is the greatest PR move I could have ever this stuff! Somebody is a central clearinghouse for all the comedy I’ve used about men and women, relationships and all that.” But they were livid, and they thought this represented some of the greatest anti-feminist misogyny ever. They were out there raising money with it. It turns out that liberal Democrats were indeed outraged by what they had seen, some of it for the first time. I don’t remember many of the 25 things, but it was things that I had said on the program that (chuckles) when you heard ’em, you laughed. I guarantee you did. None of them were offensive. But to them? Sacrilegious! And that’s when I first began to learn and evolve and understand that they had no sense of humor. I could give you countless other examples right now sitting here, but I’ve got a time problem. It’s vanishing and I’ve got some calls I want to get to. But I have no doubt that Trump telling this joke is a central component — probably not the only thing, but it’s a central component — in all of this insanity of Russian collusion. I will almost guarantee that it is. See, I remember all of this. That’s the New York Times take. That means that’s the Democrat Party’s take. That means that’s the Obama administration’s take. That means that is John Brennan’s take. That Trump was urging the Russians to hack Hillary, a foreign adversary, to conduct cyber espionage against a former secretary of state. That’s how they reported the joke. Grab this. Audio sound bite number 23. This is David Gregory, CNN, July 27th, reacting to what Trump’s joke was. GREGORY: You know, I’ve run out of words to express my shock and how completely beyond the pale that Donald Trump is as the potential leader of the free world, the commander-in-chief off our country. This was truly beyond the pale. I mean, he is encouraging Russia, which, by all accounts, was behind the leak of our major — one of our major political parties to do more, to go beyond, to try to hack into Hillary Clinton’s server to find missing emails to kind of get in the middle of the scandal. It’s as if, you know, this is a child playing with matches who doesn’t understand how badly he and the country can get burned. It’s a very serious thing. RUSH: No stretch. You got no sense of humor. You people were going nuts about Hillary’s missing emails. You were worried about what was in ’em. You didn’t know who had them. You in the media were panicked that whatever was in her emails was gonna destroy her. Nobody could find ’em. You guys are bellyaching, bitching and moaning about the Russians. Trump says, “Hey, Russia, maybe you could help the Democrats and the media out and find these emails. When you do give ’em to the media. 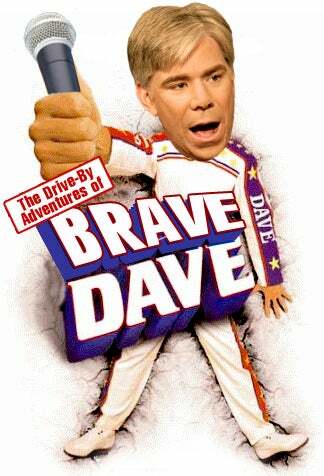 I doubt it’ll make much difference.” And they took that and expanded it to mean what you just heard me read from the New York Times and David Gregory losing his cookies over this. Okay, I made I made my point. Don’t doubt me.